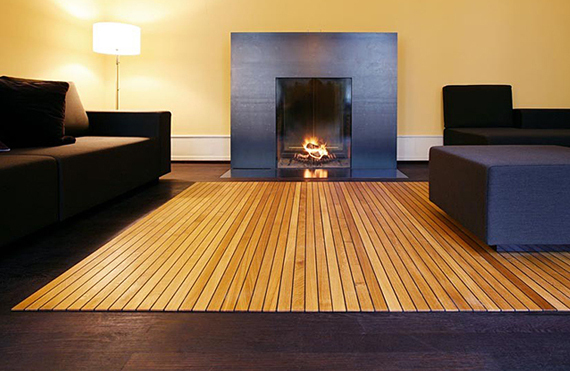 Wouldn’t it be great if you could install a hardwood floor with the same amount of effort as laying down a rug? Of course it would but unless you’re a wizard it’s not gonna happen. 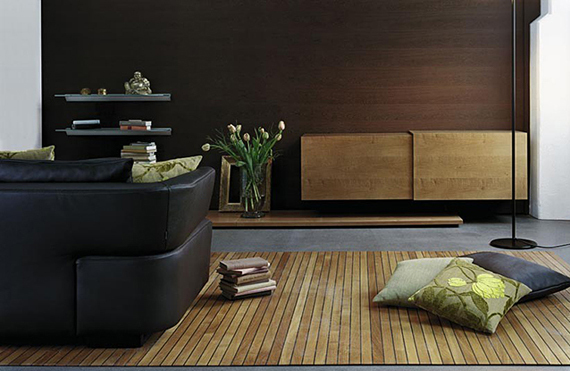 Luckily the folks at Ruckstuhl are in fact wizards and used their magic powers to create Legno-Legno, a wooden rug. The rugs don’t just look like wood, they’re made out of it (and a little polyurethane). They can still be rolled up like a carpet, but are way easier to clean. Legno-Legno is available in 5 different colors… which is good because you probably can’t sand and stain these babies. Why a bunch of wizards got together and decided to use their powers to make a wooden rug is beyond me. Personally I would have made a mansion made out of ice cream. How could I order the roll out wood carpet?